Would you like to see G.I. Joe Retaliation on the big screen just one more time? Would you consider donating to the Autism Society of America, Will Rogers Institute, or Autism Speaks? If you answered “Yes” to either of these questions, AMC Theaters has a deal for you. Introducing the “Spend Your Summer Nights at AMC” program! The program is simple– for the rest of the summer AMC Theaters is hosting a special screening of a previously-released film each Monday – Wednesday night at 10pm. For only $3.00, you can have the chance to revisit a number of blockbuster films on the big screen one more time including The Amazing Spider-man, Django Unchained, and G.I. Joe Retaliation! That’s right– the incredibly fun Joe movie directed by Jon M. Chu and starring Bruce Willis, the Rock, and Ray Park will be on the big screen from August 5 – 7. So, not only can you revisit all the thrilling action of the Joes taking down Cobra one more time but you can also feel good about doing so by knowing that your ticket dollars will go to help one of three key children’s medical charities. C’mon– what could be better than that? Check out AMC’s Spend Your Summer Nights at AMC website for more information! It’s time for the final image in Twitziller‘s fantastic “40 Reasons to be Excited for G.I. Joe Retaliation” series with the best reason of them all – G.I. Joe! Some things just speak for themselves. When Larry Hama first introduced Joe Colton into the G.I. Joe: A Real American Hero title I was floored! It was the first honest attempt to draw a connection between the world of the 12″ Joes and the Adventure Team and the 1:18 ARAH era. In a flawless move, Larry gave a name to the 12″ Adventure Team Commander and made him the inspiration for the then-current team. Brilliant!!! When Jon M. Chu and his team set out to cast the movie there was one name to which they looked to bring such an iconic character to life: Bruce Willis. No other American actor today has the presence, cinematic history, and attitude to bring General Colton to life– even if he doesn’t have “life-like hair and beard.” Bravo, team. Bravo. Now we’re at the end— G.I. Joe Retaliation is now in theatres. So, quit lolly-gagging around looking at your computer and go out and see the movie already! Yo Joe!! A HUGE thanks to Twitziller for all of his hard work in crafting these images. We’ve never met, good sir, but when we do the first brew is on me. To borrow a phrase from one of the recent Star Trek series “It’s been a long road, getting from there to here.” Two years since Rise of Cobra and then an unexpected nine month delay before G.I. Joe fans were treated to a second attempt at a big screen franchise of their favorite Real American Heroes. Nearly three years since G.I. Joe: The Rise of Cobra tore apart the G.I. Joe fandom and tarnished the image of the once-dominant brand as a kitschy modern day remake of Mega-Force. This time, however, things appeared to be different. Director Jon M. Chu, better known for his Justin Bieber documentary, set to direct a script from the talented duo that brought us Zombieland. Admittedly, all were fans of the incredible comic run by the “godfather of G.I. 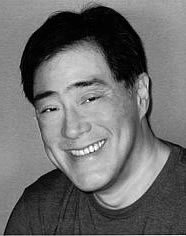 Joe” Larry Hama and promised a film that was more true to its comic roots than RoC. However, I’d heard that song and dance before but tonight felt different. The lights dimmed and I sat with friends in a surprise early birthday celebration organized by my wonderful girlfriend Amanda. Was this a film to redeem the brand, the fandom, and reignite the enthusiasm of many disheartened fans? Feel free to add your own comments below! In the next week there will be a lot of critics who turn their eye toward G.I. Joe Retaliation and offer their thoughts on the film’s merits. Some will be familiar with the property and others will not– and therefore these reviews have the potential to be a bit of a mixed bag. Sure, the critic for the Springfield Herald might have enjoyed the film but he might not have any idea of who the charaters are, etc. I liked RETALIATION a lot. Vast improvement over ROC. Snake-Eyes and Storm Shadow are much more up front, and the whole thing is a lot more character-driven. Not only is there no sinking ice, but the big finale involves physical action with people rather than choreography of CGI vehicles. The Rock is perfect as Roadblock, and Bruce Willis’s take on Joe Colton is brill (he has some of the best lines.) There’s no sign of Scarlett, but the actress who plays Lady Jaye is quite good. Jinx is amazing. Flint is kind of meh. Overall, the direction is terrific and crisp. I can tell what is going on all the time, and everything LOOKS great. Ninja fight sequence in the mountains is amazing, in that you never lose track of what is happening, and there’s a ton of fast visual input. Is there stuff I didn’t like? That would be quibbling. The positive outweighs the negative here. And I walked out feeling that the characters had been treated with respect. Larry’s background not only time in the US Army and extensive martial arts training but even work as a guild-sanctioned actor. To hear that he felt the characters were treated well and that the film’s direction is solid may help reassure a lot of fans who were still on the fence about a live action sequel in the wake of G.I. Joe: The Rise of Cobra. March 28 is rapidly approaching people!!! G.I. 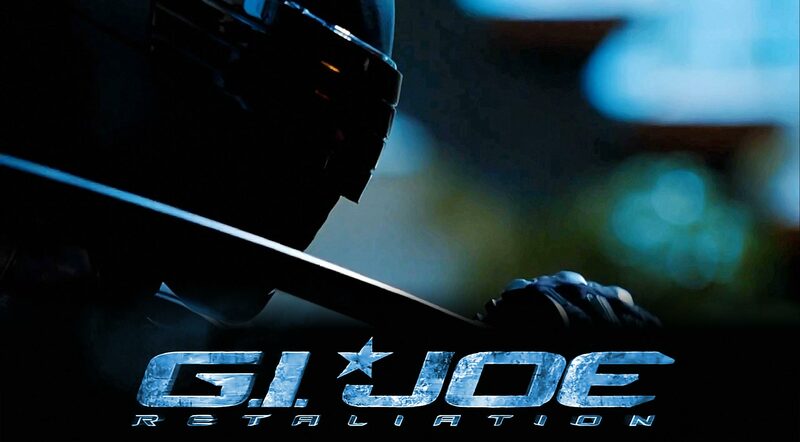 Joe Retaliation: New recruitment video posted for Cobra Special Forces! It would seem that Cobra is taking advantage of the recent press blitz leading up to the release of G.I. Joe Retaliation to get its own message out. Taking a page from the re-imagined Cobra that was seen in the ill-fated G.I. Joe Renegades series, Cobra is presented as a law-abiding, capable, and honorable private military contractor. Cobra is your friend, your protector, and to be a soldier for Cobra is an accomplishment an individual can be proud of! Personally, I love it! In the 80’s, Cobra was envisioned as an entity that reached out to the disenfranchised members of society who were beaten down by the economic times. Now, in an era of highly public mega-corporations and private military contractors, the organization is re-imagined as a sleek professional army. It also explains how a group like Cobra could exist as a well-armed militia and NOT attract undue scrutiny by the general public. Rather that being a secret society, Cobra is hiding in plain sight. To learn about Cobra, visit CobraSpecialForces.com! G.I. Joe Retaliation hits theatres and IMAX on March 29, 2012! G.I. Joe Retaliation to get IMAX release! Planning on seeing G.I. Joe Retaliation on March 29? How about seeing it on a big screen? A really BIG screen? LOS ANGELES, Jan. 24, 2013 /PRNewswire/ — IMAX Corporation (NYSE:IMAX; TSX:IMX) and Paramount Pictures, a division of Viacom, Inc. (NASDAQ: VIA, VIAB), Metro-Goldwyn-Mayer Studios (MGM) and Skydance Productions, in association with Hasbro, today announced that G.I. Joe: Retaliation, the action-packed follow-up to the 2009 box office hit G.I Joe: The Rise of Cobra, will be digitally re-mastered into the immersive IMAX® 3D format and released to select IMAX® theatres internationally starting March 28and for a one week run in North America beginning March 29. “Dwayne Johnson has resonated well with IMAX fans, and we believe his strong global appeal, coupled with the action spectacle of G.I. Joe: Retaliation in IMAX 3D is sure to excite moviegoers,” said Greg Foster, Chairman and President of IMAX Filmed Entertainment. The IMAX release of G.I. Joe: Retaliation will be digitally re-mastered into the image and sound quality of The IMAX 3D Experience® with proprietary IMAX DMR® (Digital Re-mastering) technology. The crystal-clear images, coupled with IMAX’s customized theatre geometry and powerful digital audio, create a unique environment that will make audiences feel as if they are in the movie. You can learn more about G.I. 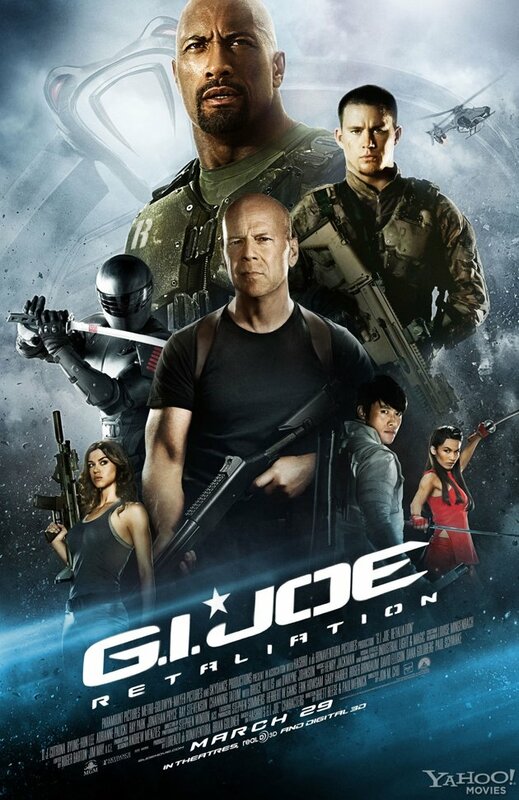 Joe: Retaliation by visiting Paramount’s official site at http://www.gijoemovie.com. A follow-up to the 2009 release G.I. Joe: The Rise of Cobra, which grossed more than $300 million worldwide, Paramount Pictures, MGM and Skydance Productions, in association with Hasbro and di Bonaventura Pictures, presents G.I. Joe: Retaliation. In this sequel, the G.I. Joes are not only fighting their mortal enemy, Cobra, they are forced to contend with threats from within the government that jeopardize their very existence. The film stars D.J. Cotrona, Byung-hun Lee, Adrianne Palicki, Ray Park, Jonathan Pryce, RZA, Ray Stevenson, Channing Tatum with Bruce Willis and Dwayne Johnson. Directed by Jon M. Chu, and produced by Lorenzo di Bonaventura and Brian Goldner, written by Rhett Reese and Paul Wernick based on Hasbro’s G.I. Joe® characters, the film is scheduled to be released on March 29, 2013. G.I. Joe Retaliation Wave 3 Joe Colton reviewed! It’s been a while since any new G.I. Joe reviews have been posted at JBL and there is a good reason. After a year long search, I finally bought and moved into a new house over the holidays. The good part is that there is a lot more room for Amanda, the cats, and I. The bad news is that most of Joe stuff is still in boxes– and that includes the photo setup. However, some quick jury rigging allowed me to shoot a few pics recently of my most anticipated figure from the entire G.I. Joe Retaliation line: Joe Colton! Sure, the photos are quite up to my usual standards but they proved to be a lot of fun to shoot! I won’t lie– I don’t see this figure as the bearded General that Larry Hama first introduced us to back in G.I. Joe vol 1 #86. Instead, I picture him as a certain plucky New York cop who always seems to find himself in the wrong place at the wrong time when terrorists attack. That’s right– I’m talking about Officer John McClane of the Die Hard franchise. Regardless of how you use this Bruce Willis action figure in your collection, check out JBL’s first review of 2013 in the G.I. Joe Retaliation Review Index! A very special G.I. Joe: Retaliation box arrived in the mail here at “JBL HQ” last week. Normally I wouldn’t order a figure early like this nor would I pay significantly more than retail (as I’m cheap) but the subject matter was just too good to be ignored. Some folks may call him Joe Colton from G.I. Joe Retaliation but for the majority of us he’ll always be Officer John McClane of the NYPD! Expect a review coming this week! New G.I. Joe Retaliation poster debuts! It’s been a while since there’s been anything new on the G.I. Joe: Retaliation front. The film is currently slated for a March 29, 2013 release date (which is only 2 days before a certain admin’s 40th birthday) and promotion for the spring debut hasn’t really ramped up yet. So, imagine my surprise yesterday when I saw this GEM of a poster hit the web. Seriously– click to make this image larger and you’ll see why I like it so much. First off, it doesn’t come across as “G.I. Joe starring The Rock” nor is it “Channing Tatum IS G.I. JOE!” It’s an ensemble piece that highlights the more prominent core cast (and Duke). It’s also got one piece that was missing from so much of the promotion for both Rise of Cobra and Retaliation thus far– the Cobra logo. Hasbro has 30+ years invested in that single piece of branding and yet it was barely used in promoting any of the live action G.I. Joe endeavors thus far and that’s a real shame. I’d argue that the Cobra logo is the single most-recognized symbol in all of the G.I. Joe mythos. Some of the older G.I. Joe fans out there might remember the ad campaign for the 1989 release of Batman, starring Michael Keaton. (Still, in my opinion, the BEST of the Batman films.) One particular commercial featured nothing but silence and a slow fade in of the Batman logo with the words “June 23” at the bottom. It was simple, effective, played on symbolism that the general public already knew, and ruined nothing of the film’s plot. Plus, it set itself apart from the usual “noise” found on TV by being silent. I can recall a conversation between my parents stopping because they thought something was wrong with the TV during the ad. In other words, it got their attention. Regardless, the new Retaliation poster looks amazing in my opinion and is something that I’ll be trying to track down to add to the family room. It’s a far more interesting visual piece than the previous posters released.